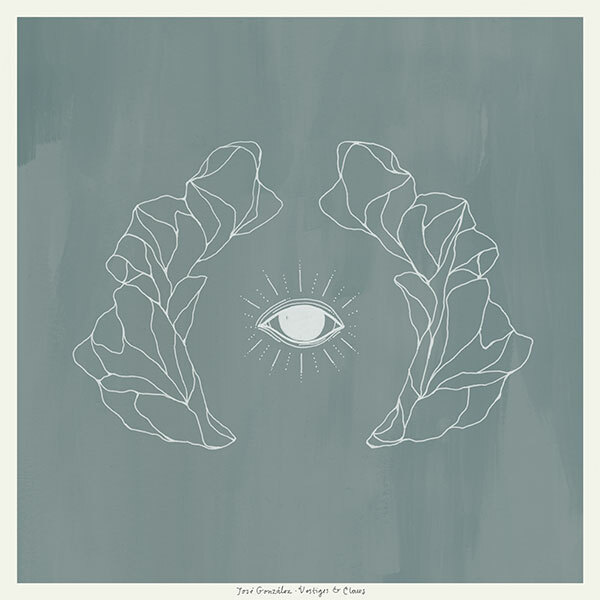 José González’s music has always maintained a timeless quality. In the realm of contemporary folk, there is no competition for his soothing yet soulful tones and melodic, plucking guitar. On Vestiges & Claws, the first solo album he’s released in 7 years, a new kind of electrifying energy is at play. Melding the intimately personal with the overwhelming impersonal, González takes us on a journey with him, creating the kind of depth that elevates a folk album from pleasant background music to a collection that will stay and grow with you — as it has evidently stayed and grown with him — for a long time. Comparable to that of any José González record, González’s guitarwork on Vestiges & Claws is deft and his voice is low-feeling, airy, and calming. Delicate movements within intricately plucked guitar chords will feel warmly familiar to José González listeners, as he operates within his usual register — and yet, starting even on the album’s opening track, “With The Ink Of A Ghost,” a restless energy builds at various points. Exploding in bursts of layered guitars lines moving in different directions, as well as harmonized, multi-voiced vocal parts, certain tracks are released from their usual confines — if only for a few seconds — before the songs flow back into their usual hum. Elsewhere, González speaks to feelings of disillusionment. On “With The Ink Of The Ghost,” in soothing tones, he speaks of “members” who appear “frail and incomplete.” During the album’s heart-breakingly personal final track, “Open book,” he references everyone’s “different kinds of hell,” while also contemplating to a personal feeling of loss, through the use of an unknown and not often-mentioned other; a “you” that appears and disappears quietly on the album. The quiet energy and profound meaning that rampantly cross paths throughout the musicality and lyrics of Vestiges & Claws are also reflected in its production. Stunningly beautiful and sparse soundscapes construct the world that we will live in on the album and are not unfamiliar, though they are contoured this time — as mentioned earlier — in a way that feels new. By incorporating multi-layered instrumental parts as well as percussive, tribal beats, González departs from his usual fare into darker territory, while still keeping his sound folky and warm. Having been produced by González himself in his home kitchen, the album acquires a grittier sound. White noise fills in many of Vestiges & Claws‘ quieter moments and pauses, as well as its transitions between songs, so that the album never goes quite silent. These imperfections fit perfectly with the album’s contoured musicality and its thematic dealings with both the grandiose and the intimate. And they reveal a depth and intentionality, which extends not just to the album’s songwriting (a gift we already knew he had) but also to its composition and overall effect. Ultimately, it is the combination of intimacy and transcendence that González offers us — through music, lyrics, and production — that makes Vestiges & Claws come alive. The materialization of holistic truths and stunningly delicate soundscapes, amidst a restless, searching energy and a less than polished level of production, gives the album the kind of depth that requires many listens and which will, undoubtedly, cause its meaning to morph over time just as we will morph. Taken altogether, the album’s sentiment is overwhelmingly positive, and González’s voice — if nothing else and as we’ve come to expect — never fails to lull you back in. So, be lulled.